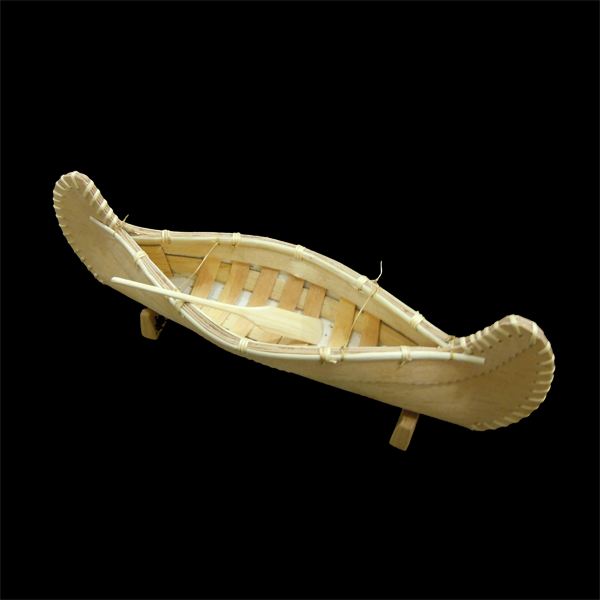 Hand made miniature replica birch bark canoe with paddles and stands. Tag signed by Artist. Adds an outdoor feel to any home or cottage. Display this aboriginal art proudly in your home, fill it with pine cones or potpourri for an additional decorative touch. 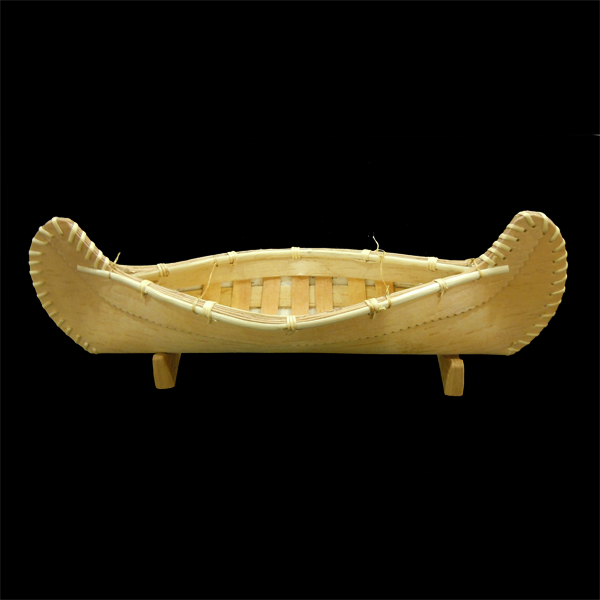 This canoe is great as an art piece. 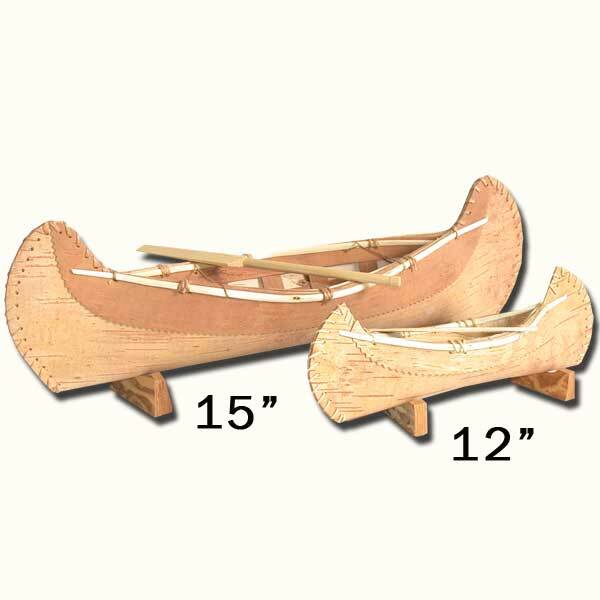 Comes complete with hand made wooden stands so it can be displayed on its own. Measures 15" long by 4.5" wide.